Japan’s population is expected to shrink to a third of its current size over the next century, with the average woman living to over 90 within 50 years, a government report said on Monday [Jan. 30]. The population is forecast to decline from the current 127.7 million to 86.7 million by 2060 and to tumble again to 42.9 million by 2110 “if conditions remain unchanged”, the health and welfare ministry said in the report. Japan’s life expectancy – one of the highest in the world – is expected to rise from 86.39 years in 2010 to 90.93 years in 2060 for women and from 79.64 years to 84.19 years for men. Japan’s population has been declining as many young people have put off starting families, seeing it as a burden on their lifestyles and careers. A slow economy has also discouraged young people from having babies. BEIJING | China’s urban population now exceeds the number of rural dwellers for first time in its history, the country’s National Bureau of Statistics (NBS) [reported on January 17th]. 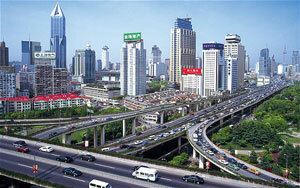 Just over 680 million now live in cities – 51.27 per cent of China’s entire population of nearly 1.35 billion. In the 12 months from December 2010 to December 2011, a further 21 million arrived in cities … while the number of rural inhabitants dropped, the statistics show. Many of those settling down in urban areas are migrant workers – people moving from the country to cities to seek economic empowerment. This transient population of cheap labor, put at nearly 221 million by a national census last April, helped turn China into the world’s second-largest economy in just three decades. Months following the census, another government report said more than 100 million farmers would move to cities by 2020. ….. Many migrant workers are forced to settle in the cities because their farms have been sold off during land grabs to make way for more urbanization. …..
Official figures show the rate of urbanization has gathered pace over the past decades. Only one in five people lived in cities in 1982. By 1990, urban dwellers represented 26 per cent of the total population – a figure that rose to 36 per cent in 2000 and jumped faster over the next decade to reach 51.27 per cent. NEW DELHI | India is to impose safety standards on its ‘jugaads’ – the home-made transport vehicles made from used car, motorcycle, tractor and ox cart parts. The ‘Jugaad’ has become a celebrated symbol of India’s ‘frugal innovation’ in which useful machines and tools are created from scavenged scrap to get “more out of less for the many.” But it has also become a byword for shoddy contraptions, shortcuts and sharp practices, including corruption. Their popularity has grown exponentially in rural India among poor farmers who cannot afford to buy branded tractors and analysts say there are now millions of them. Now the government has decided they are dangerous and need to be covered by new rules to impose safety standards to reduce accidents and their owners will need to have driver licenses, according to officials. “These vehicles are running on all highways and major roads as poor man’s transport or being used for agricultural purpose. Their designs have not been standardized and safety norms are routinely flouted. 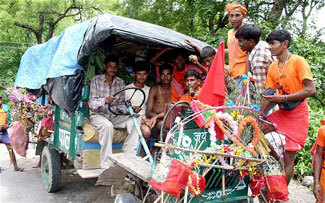 Regulation will put a check on their growth,” a transport official in Haryana told The Times of India. [Government] plans have been criticized by leading Indian innovators and academics who believe the move will hamper the spirit of innovation which helped the country develop new space rockets and the world’s cheapest car. “What has got into these crazy minds? I’ve never come across anyone killed by one of these vehicles., but many by other cars. They are low speed vehicles by design. Regulating them will hamper Indian creativity and productivity because for people who can’t afford good machines and animals (for transport), what will they do?” said Prof Anil Gupta, a leading expert on Indian innovation. b) What is believed to be the main reason for such a drastic population shift? c) What is causing this to happen? d) Do you think these are legitimate reasons for having few or no children? Explain your answer. – Ask a grandparent the same question. c) What percent of the Chinese population lived in cities 20 years ago? b) What is the government’s goal for regulating jugaads? c) Who is criticizing the government’s plan? Why? 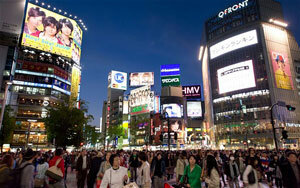 The influx is seen as having a destabilizing effect on urban society, according to experts. Government policy has failed to keep up with what some observers call the economic and social reality. Most migrant workers are treated as lower-class citizens in their adopted towns or cities because they are still classified as rural residents under the controversial – and to many, outdated – Hukou household registration system. The Hukou is the registration paper or residency permit which ties a migrant worker to his or her home town. This means they can only receive benefits back in their home town, and not in the cities where they go for work. This means they have little or no social security, including access to education for their children, health and other welfare provisions. However, expectations are growing – especially among young migrant workers who are demanding higher wagers and living standards similar to their middle class neighbours. Worryingly for Beijing, this perceived urban apartheid is a main source of social unrest. Also fanning discontent is what some view as a vicious circle drawn by flawed government planning, official corruption and lack of social justice because of a questionable legal system. Peng Xizhe, Professor of Demography at Fudan University, told The Daily Telegraph opinion is divided over whether to expand existing big cities or build new, smaller urban zones. “We’ve been arguing for three decades about how best to implement urbanization. In the years ahead, intelligent, smaller scale city planning will be crucial to better manage resources,” he said. “The government also realises this is important if it is to avoid polarisation among residents,” he added. Gridlocked Beijing and Shanghai, which have a combined population of over 45 million, are planning to contain the increase of their populations. But policy is inconsistent, with other metropolises encouraging migration. The Jugaad trikes, which often look like a cross between a 1930s sedan and a Royal Enfield Bullet motorbike, were created by farmers and local mechanics who wanted cheap public vehicles to transport their produce from fields to the markets and their families and friends to pilgrimage sites on potholed dirt-track roads. Most of them are belt-driven using a small Fiat diesel or Mahindra engine, steered by motorcycle handlebars inside a vintage car cabin and attached to a trailer.